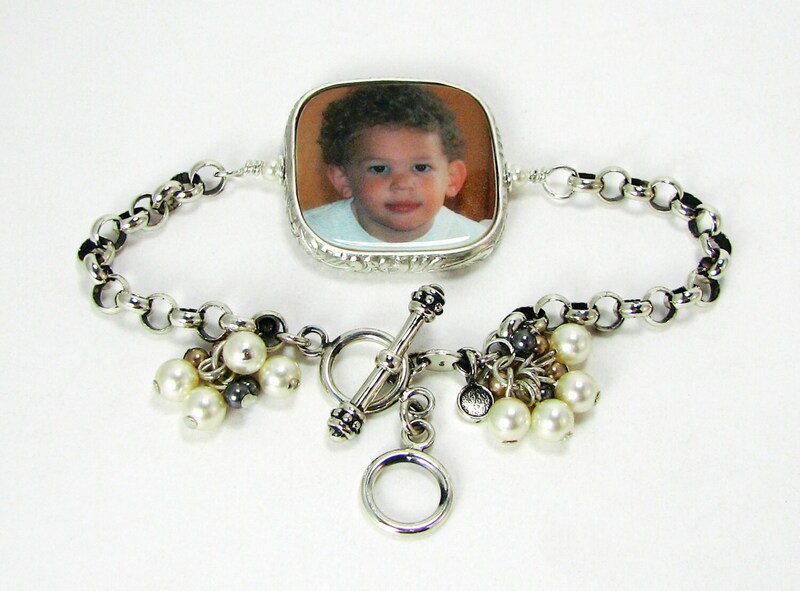 This is a gorgeous, sturdy 5mm Rolo chain bracelet that comes with a double option toggle clasp. 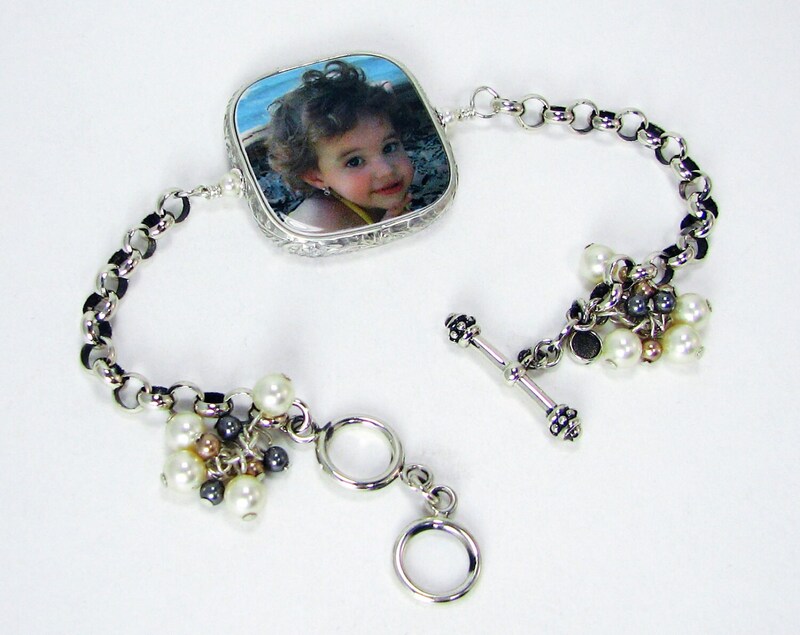 It holds a beautiful, two-sided photo charm that is framed in a floral design with Swarovski pearls dangling at either end of the bracelet. 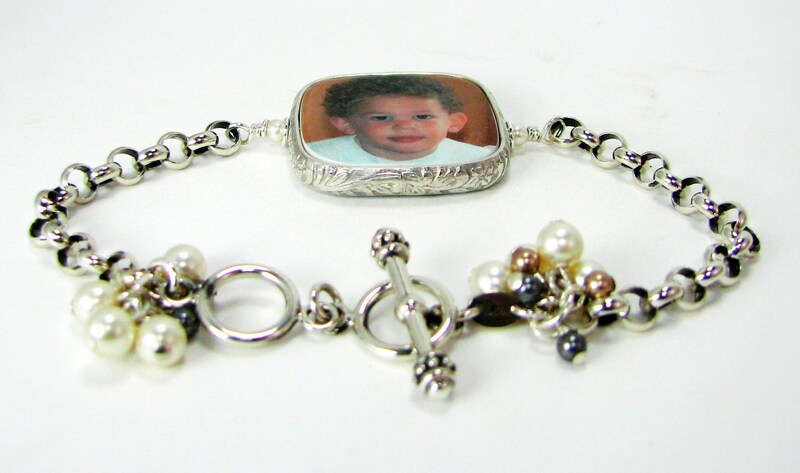 You can custom order this with pearls to match your photos, or you can order this bracelet with the exact dangles as shown above. 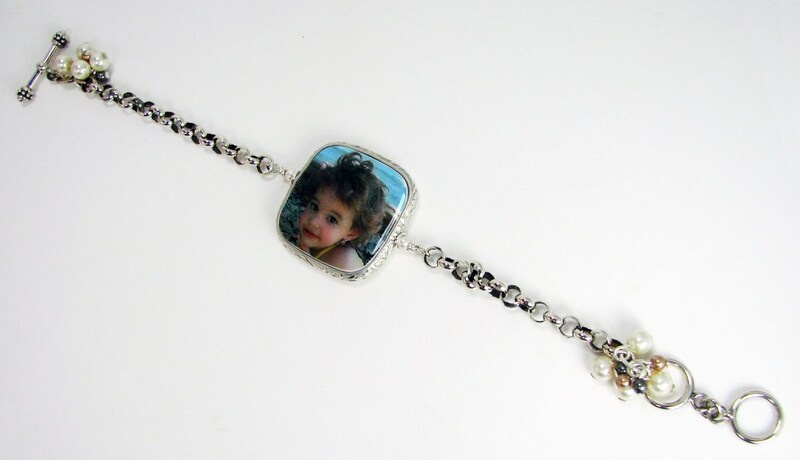 This bracelet comes with a custom keepsake clay photo charm that is up to 1" X 1" with the addition of rounded corners. 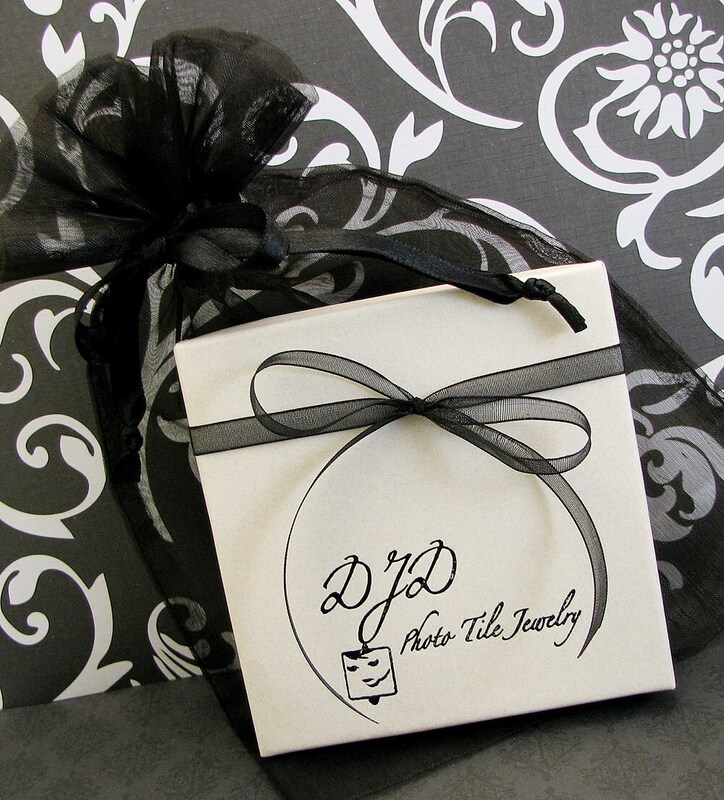 This bracelet includes up to 10 pearl dangles at either end, but they can be spread out, or omitted if you prefer.